The most successful organizations know that building a strong company culture is the foundation of a successful business. The culture of an organization affects employee morale, performance, and retention. If there is a culture of boredom, competition, or open hostility, employees are less likely to stay, let alone recruit others. What makes a strong company culture? Everyone should know why the company exists, and why they are important to the company. Most people thrive in environments that they have a personal connection to. No matter what is happening inside or outside the company, the purpose should always be the same, and every decision should be made with the purpose in mind. Everyone should know what the company stands for. Knowing which core values are indisputable gives employees something to believe in. 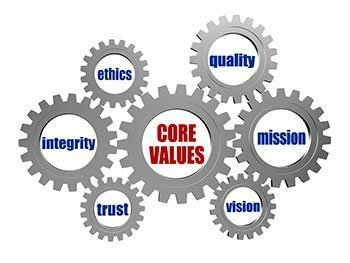 Once the values are established, difficult decisions are often easier to make, since the pros and cons can be weighed against the purpose and values of the organization. Employees should trust their leaders. Leaders should live the mission of the organization, and ask for nothing that they themselves wouldn’t do for the team. Leaders with a sense of ethics and integrity command respect, while those who lead through fear and intimidation are usually unsuccessful in the long-term. Effective communication requires teams to be honest about their strengths as well as their weaknesses. Transparency leads to trust, which makes employees work harder, be more creative, ask for help, and achieve greater buy-in. Employees want to work harder for their teammates, as well as the organization. Hire good people and treat them well. Treat them with respect, pay them well, and listen to their ideas and opinions. The lifeblood of an organization is the company culture, which is made up of people. If you value the people, they will add value to the company. Every organization has a company culture, and that culture can be either a positive motivator or a negative drag on the business. Being mindful of the purpose and values, emphasizing effective leadership and communication and valuing the team will ensure that the company culture will support the continued growth and success of the organization.